No re-upload my downloads to another server and pages. You can use this content for make more cc without ask for permission. Don't post in other websites direct links to my downloads. Don't publish my downloads in pay sites. cant get the animations to work... am i doing something wrong? I'm not sure. The pose pack it was made and test with the last version of the game. Try to select the poses from the list of pose packs. Also remeber use the last version of teleporter and pose player. You can find the links to both in the info.text file of the download. How can I use those in illusion room? Hey. 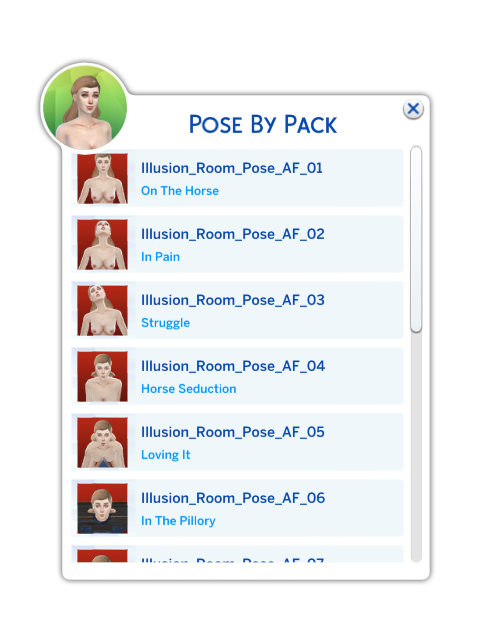 Whenever I try to download the pose pack and room set, they always end up being PDF files instead of zip files. What do i do?